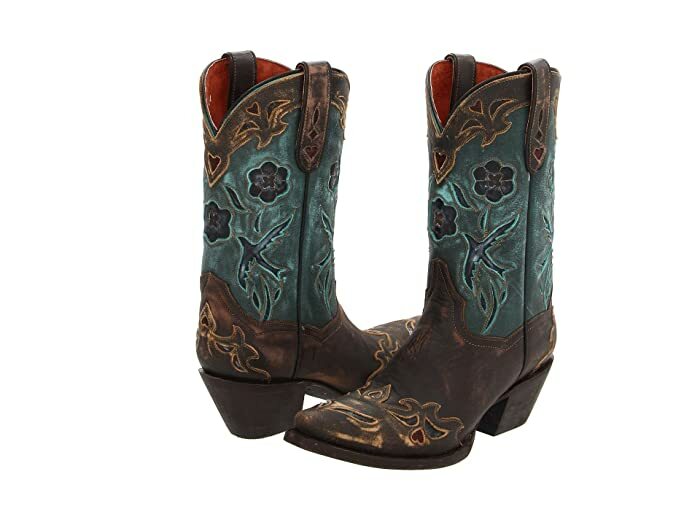 Greet the morning sun before you blaze the trails in these sassy Dan Post™ boots. 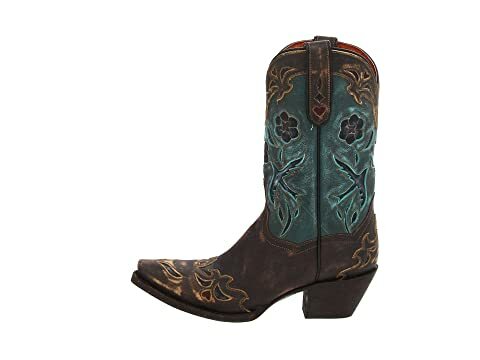 Pull-on style boot with bootstraps at cuff for easy on/off. 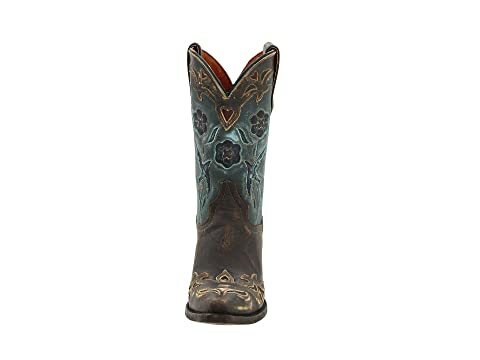 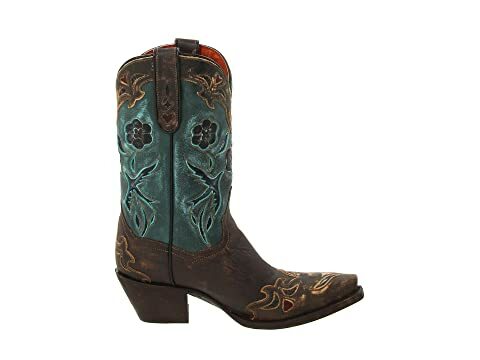 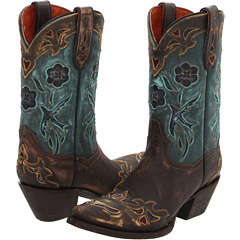 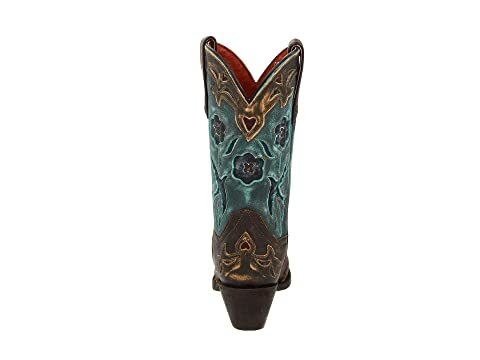 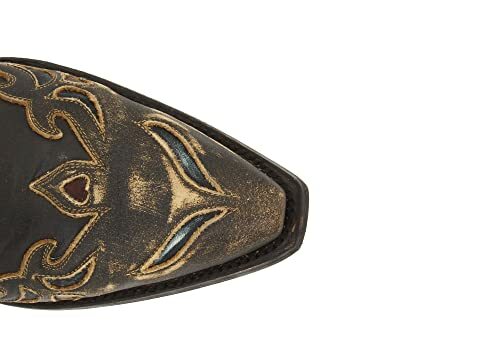 Goat leather upper features flower and blue bird insets and fine stitching details. 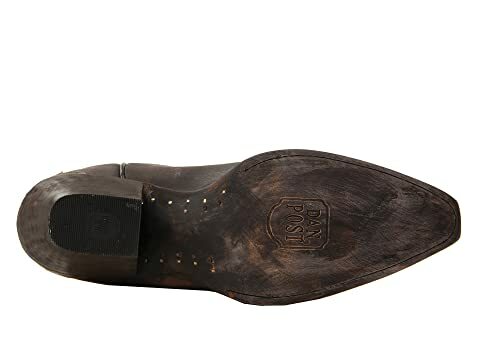 Lightly cushioned Ultimate Flex™ leather insole for all-day wear.